Deadmans Fugitive Red pitcher. Click the image to open the San Francisco Mountain Gray Ware gallery. San Francisco Mountain Gray Ware is the pottery ware made by the Cohonina. 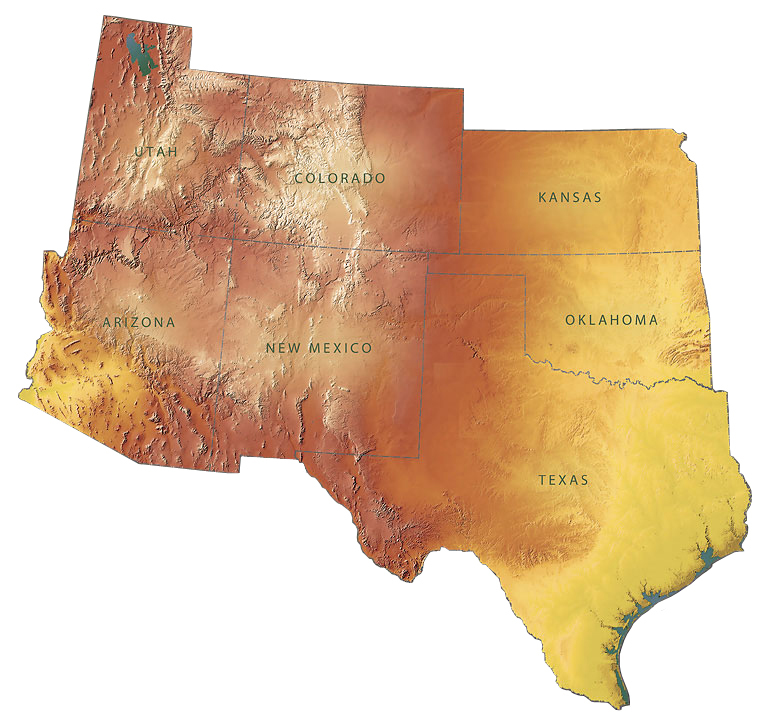 The primary distribution of this ware is around the San Francisco Mountains, north to the Grand Canyon, and west to the Big Sandy River. San Francisco Mountain Gray Ware was first recognized and described by Colton and Hargrave (1937). 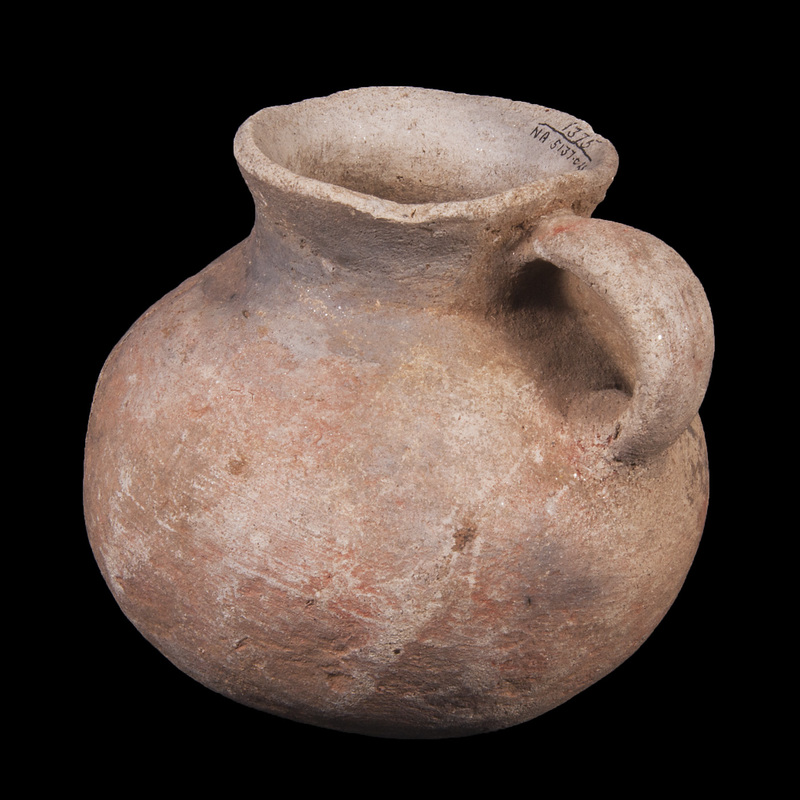 The number of pitchers compared with other wares such as Alameda Brown Ware is distinctive, and the handles of these vessels are usually formed as a continuation of the rim, rather than being added to the body of the vessel. Types include: Deadmans Black-on-gray, Deadmans Fugitive Red, Deadmans Gray, Floyd Gray, Floyd Black-on-gray, and Kirkland Gray. Firing: Fired in a reducing atmosphere. Temper: Abundant fine quartz sand with occasional black angular fragments and numerous mica/biotite particles. Surface Finish: Polished, compacted bowl interiors and jar exteriors; smoothed, scraped jar interiors with anvil marks; no slip. Surface Color: Light bluish-gray or pink-red when painted with fugitive paint. Paint: Matte black painted designs; fugitive red surface treatment. Designs: Bowl interiors and jar exteriors. Comparisons: Although often difficult to distinguish from other contemporary plainwares, San Francisco Mountain Gray Ware is distinctive in the sugary appearance of the temper.